For the purposes of this post I wanted to reflect on the use of maps and guidebooks. Since we have been based in England we have had some great trips. 2015 springs to mind as a good year for both England based travel and overseas. From an England perspective I enjoyed travelling up north twice. The first time it was for a tandem cycling holiday with the Britalian. We were based in Ironbridge Gorge – a UNESCO World Heritage Site, which is located in Shropshire – a region in the West Midlands of England. It is a land-locked region, the River Severn flows through the county and is in fact England’s largest (county that is). Such a pretty area of England and even though we were not in tip top shape we had a super time. The second time I was in Coventry on an ancestry mission. This trip also included stopping by briefly in Oxford. For our beginning of winter trip, the Britalian and I headed to Seville. It was my first time in Spain and I absolutely loved it. On all of the above mentioned trips maps were used. When the Britalian and I went on our cycling trip in Shropshire, we were given a cycling map of the local area. The cycle paths that they have in place are really good, and it was certainly well worth having the map with us. The hotel where we were staying in Coventry provided a couple of maps for us to head into the centre of town, as we were based on the outskirts. I also used the sat nav on my phone to begin with as there were some road works going on that made things not so straight forward as it seemed. Once we were in the centre of Coventry the city centre map proved useful to get around and see all that we wanted to. On a day trip in Oxford, we picked up a map just by chance from an office that was having an open day. Our Seville map was useful too, although we did try to get to one place, ignoring the map and ended up getting slightly lost. When we were based in Seville we took a day trip to Cadiz (which was great – we do love our seaside towns.) We did have a free map, but we also purchased one from the train station for 1 Euro. For our Spain trip we invested in two books. I felt that I really wanted to read up on the city before we descended on it. However best laid plans and all that didn’t come to fruition. Both guides came with us, and stayed with us as we were touring around the city and I have to say that I think they were worthwhile. While I am sure that you can make do without, I do like to read up a bit of the history of the place and also the background information. 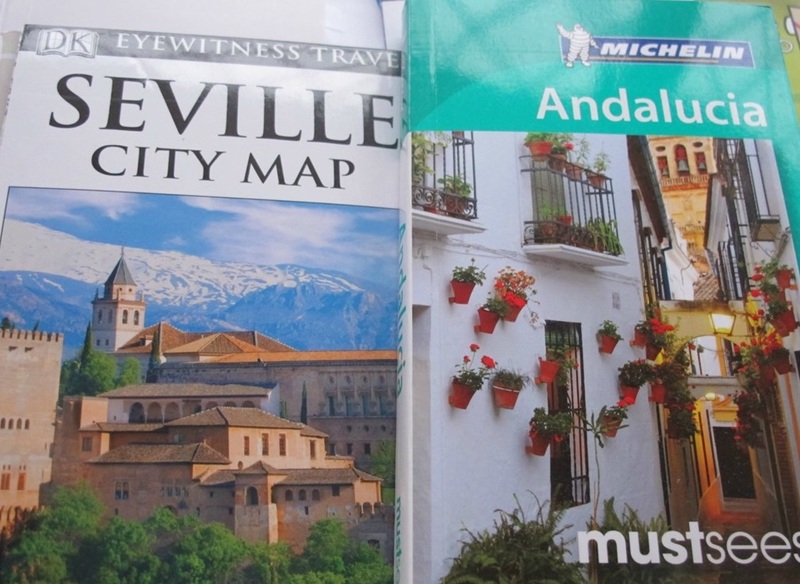 Given that our guide book also extends to other places within Andalucia, it gives us a good excuse to return again. 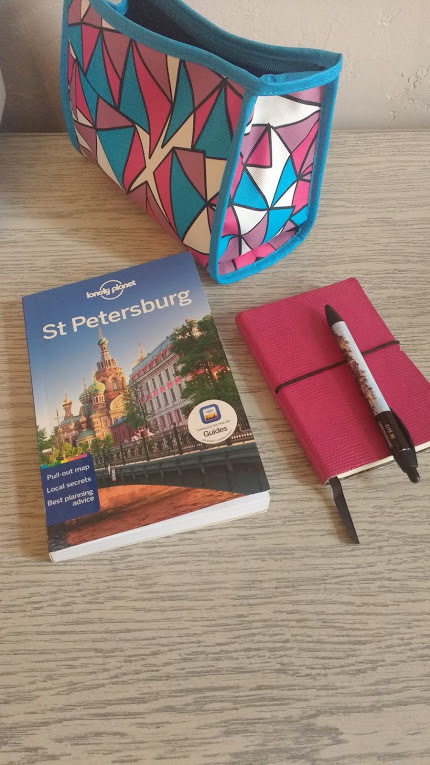 In April this year I used another guidebook as I went to St Petersburg. I certainly found the guidebook a worthwhile purchase to have with me while I was away plus since I have been home I have enjoyed revisiting my trip by looking at the fold out map. 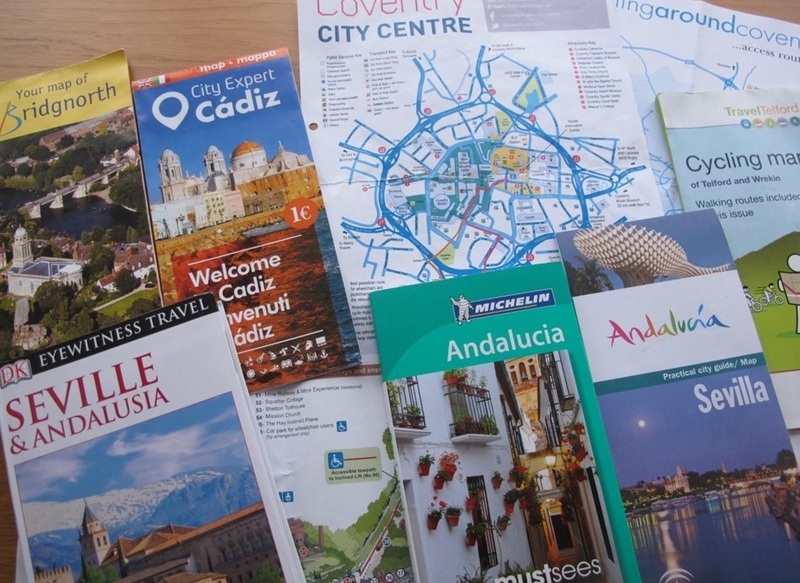 Do you use maps and guidebooks on your trips? This entry was posted in Travel and tagged Seville, Shropshire, St Petersburg by Cathy Powell. Bookmark the permalink.